Check out which Agents will be the busiest this summer with pending Free Agents! PuckPedia PuckTV was Live with Agent Allain Roy! Signed RW Brandon Duhaime to a two-year, entry-level contract. Recalled RW Ryan Haggerty from Wilkes-Barre/Scranton (AHL). Recalled C Dominic Toninato from Colorado (AHL). Assigned D Cameron Gaunce to Syracuse (AHL). Signed RW Riley Tufte to a three-year, entry-level contract. Announced C Joe Thornton has served his suspension. Recalled D Logan Stanley from Manitoba (AHL). Recalled RW Logan Shaw from Manitoba (AHL). Recalled D Cameron Schilling from Manitoba (AHL). Recalled C Marko Dano from Manitoba (AHL). Recalled C Mason Appleton from Manitoba (AHL). Recalled LW Adam Mascherin from Texas (AHL). Recalled RW Nicholas Caamano from Texas (AHL). Recalled C Joel L'Esperance from Texas (AHL). Recalled D Gavin Bayreuther from Texas (AHL). Recalled D Dillon Heatherington from Texas (AHL). Recalled D Joel Hanley from Texas (AHL). Signed LW Jacob Pritchard to a one-year, entry-level contract. Recalled RW Denis Gurianov from Texas (AHL). Assigned RW Zac Dalpe to Cleveland (AHL). Assigned G Pavel Francouz to Colorado (AHL). Recalled C Patrick Brown from Charlotte (AHL). Assigned C Dominic Toninato to Colorado (AHL). Recalled C Dylan Gambrell from San Jose (AHL). Recalled G Jared Coreau from San Antonio (AHL). Recalled LW Dillon Dube from Stockton (AHL). NHL suspended C Joe Thornton one game for an illegal check to the head of an opponent. Assigned G Joe Cannata to Colorado (AHL). NHL suspended C Nazem Kadri for the remainder of the first round due to cross-checking an opponent. Signed D Jacob Bryson to a three-year, entry-level contract. Announced RW Nikita Kucherov has served his suspension. Announced G Peter Budaj to has retired. Recalled G Eric Comrie from Manitoba (AHL). Signed G Filip Larsson to a three-year, entry-level contract. Recalled C Zac Dalpe from Cleveland (AHL). Recalled D Jakub Zboril from Providence (AHL). Signed LW Nikita Gusev to a one-year, entry-level contract. Signed D Cale Makar to a three-year, entry-level contract. Recalled D Cameron Gaunce from Syracuse (AHL). Assigned G Ilya Samsonov to Hershey (AHL). Recalled G Vitek Vanecek from Hershey (AHL). Signed D Vladislav Gavrikov to a two-year, entry-level contract. NHL suspended RW Nikita Kucherov one game for boarding. Signed C Adam Ruzicka to a three year, entry-level contract. Assigned G Dan Vladar to Providence (AHL). Recalled D Adam Clendening from Cleveland (AHL). Recalled G Dan Vladar from Providence (AHL). Assigned G Eric Comrie to Manitoba (AHL). Hyman is nursing a leg injury and it has yet to be determined if he will suit up against the Bruins in Game 5 of the Eastern Conference first round. Brassard is ailing from an illness and it has yet to be established if he will suit up for Game 5 of the Western Conference first round against the Flames. Kuraly is recovering from surgery to repair a right hand fracture. It is unclear if he will return to action in Game 5 of the Eastern Conference first round against the Maple Leafs. Vlasic is dealing with a lower-body injury and it is unclear if he will play in Game 5 of the Western Conference first round against the Golden Knights. Boychuk has a leg injury and it is unclear if he will take part in Game 1 of the Eastern Conference second round. Haley has an ankle injury and it is unknown if he will face the Golden Knights in Game 5 of the Western Conference first round. Clutterbuck was removed from Tuesday's game due to an undefined injury and it is uncertain if he will return. Killorn has a leg injury but it is not expected to affect his status for Game 4 of the Eastern Conference first round against the Blue Jackets. Kucherov is serving a one-game suspension for boarding. He will not be available for Game 3 against the Blue Jackets in the Eastern Conference first round. Rittich is unlikely to participate in Game 1 of the Western Conference first round against the Avalanche as he is to be rested. Pavelski is projected to suit up against the Golden Knights in Game 2 of the Western Conference first round despite a facial injury. Agents, to have your agency info updated, or to make an addition or correction, Contact us! Have a question about the NHL Salary Cap? Wondering about NHL cap space or want to know how transactions happen? 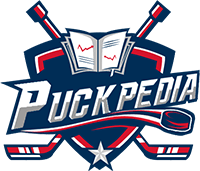 PuckPedia’s Capologist answers your questions and gives you the information you need. Don’t speculate, ask the Capologist! Asked Apr 15, 2019 by Nic C.
How do entry level contracts work. Do you need to sign for 3 years minimum? And what about the college free agents who get 2 years? PuckPedia streamlines your search for information and news on all things hockey. From scores and NHL trades to draft history, salary cap, injuries and NHL player salaries, PuckPedia keeps you up to speed with by-the-minute information and news. We are the only source that's needed for hockey fans and professionals alike.